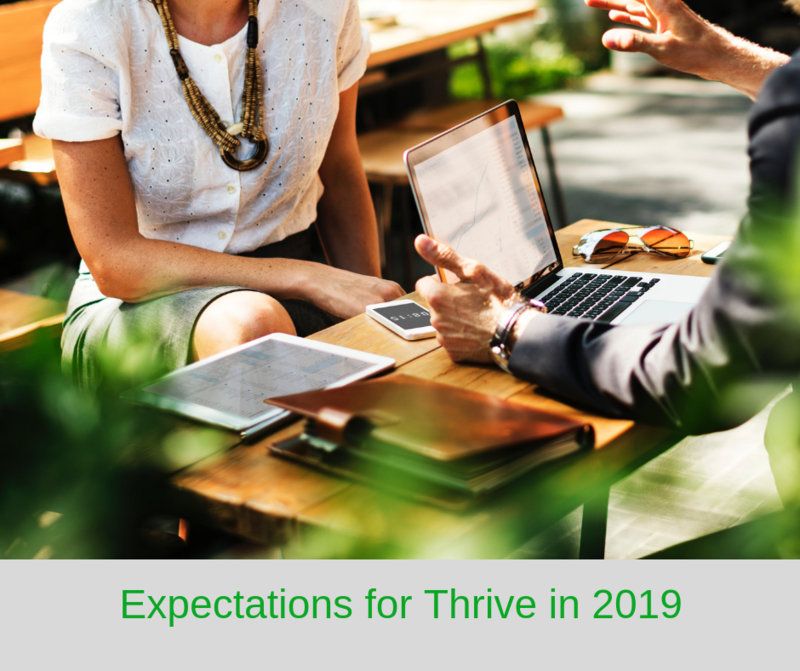 With 2019 now underway, David, Karen, Bret, and Joe discuss the goals set for Thrive Financial Services this year. Today’s show is going to be off the charts because we have so much going on. We have so much information. We’re about to start launching again, and we have an intention this year of doing 100 workshops throughout the different communities. The attendance has just been unbelievable. The feedback has been wonderful, and that has allowed us to continue to fine tune the education that the retirees are looking for so when we have our delivery for that, we’re really speaking directly to them. We’re just overly pumped up, Joe. When you consume the information that is provided today, you will have a better understanding. You will be more educated by the end. I know for us here at Thrive, that is an amazingly gratifying process and we continue to fight to do that on an ongoing basis. Well said. Let me turn to Bret Elam who’s kicking off the New Year in Eagle Green and very excited that 2018 ended with an opportunity for the team to get into the wild card round. From there, it’s a different season. I welcome you and happy new year to you and thank you for all the good work that you’ve done for all of your clients, Bret. Well done, and it’s nice to have you back on board again here in 2019. I appreciate it Joe. With our goals every year of continuing to grow and expand and again our team is getting ready to expand here at Thrive as well, which just allows for us to have the confidence to just continue to go out there. We Don’t have to worry about feeding people at a workshop or anything like that. We actually just brought in some clients this past week, Jeff and Susan, that we met through the radio show, who came out to one of our workshops. I know it’s working and when I’m hearing feedback from people that we’re meeting from the radio show coming up to the workshops, it’s satisfying. It’s satisfying for us to be able to put our heads down at night and then as we turn to 2019. Some minor changes to some of the rules but just continuing to put all the puzzle pieces together. Then you will continue to educate, I’m sure. Karen Bezar, I bring you in last but not least. Happy New Year to you and welcome back in to 2019. I have this feeling that 2019 is going to be an incredible year and if you follow the Chinese calendar and you say it’s the year of the Golden Pig which only occurs every 60 years, 2019 could be a spectacular year. I didn’t mean to take any time on your introduction but thank you so much for what you do. That was very interesting information. I did not know it was the year of the Golden Pig. I’m going to go Google that and see how exciting this year’s going to be but we’re off to a running start and Happy New Year to you, Joe. Get some clarity on that but that is all part of what we do. Quickly, Karen, you’re going to talk about what today? Prior to this I started some tips on how to prepare for the upcoming year and now we’re in the upcoming year so I’m going to continue with my tips. That’s good, we will continue on that topic in just a little bit. Bret you wanted to say something? I believe we have seven workshops scheduled here in January. So again, more dates to come and you can always visit us at ThriveFinancialServices.com which has all of our workshops coming up. But, today, I wanted to chat about how it’s been one heck of a week that we just went through related to the stock market. A risk that I want to speak about today is something that’s called sequence of return risk. I’m a math guy. A long time ago my mother was a calculus teacher, so learning some of the commutative and associative properties of addition and multiplication, it doesn’t matter what order returns. I’m talking about stock market returns, it doesn’t matter what order stock market returns happen when you are accumulating money, you are always going to get to the same result. What I mean by that, is if I say one times two times three equals six. Also, if we did three times two times one also equals six. Not a big deal. When we fast forward to retirement, so here’s a hypothetical. Say I’m 45 years old. Let’s say I have $121,000 and I’m working. I’m just letting my money grow because I don’t need it because I’m going to need it one day in retirement in my, let’s say 60’s. If I took a hypothetical order of returns, meaning the past 20 years’ worth of stock market returns. I’m looking at a chart here in front of me between 1989 to 2008, a 20-year segment period of time. We can do this with any period of time. On the first order of returns, you’re going to look at them from 1989 through 2008 and it’s going to give us $613,000. Okay? If we just let our money compound and grow. So instead of it actually happening from 1989 through 2008, now what happens if 2008 was the very first return and 1999 was the 20th year of returns? Again, just simply flipping the order in which those returns happen in. While we are accumulating, no big deal, we get to the exact same spot of $621,000. This is a risk when we talk about sequence of returns risk. When we sit down with when people come in as part of that Thrive Retirement Roadmap, they never really had to think about it before because they were working. In fact, when markets were going down, and we have volatile times going on right now in the stock market. But with the volatile times that are going on right now, it’s something that we need to be conscious off because there’s lots of publications out there that talk about the rates and returns in the first couple years in which you retire, how important those are as well. Where the sequence of return risk comes in very important is now in the de-cumulation phase or the income phase. Now that I’ve built this portfolio, I need to start pulling money out. Let’s just say hypothetically, we needed to pull out say $30,000 a year off of a $613,000 portfolio and then we’re going to adjust it every year for inflation. But let’s just say we took out $30,000 off of $613,000 and let’s do the exact same thing again. If we started with $613, looked at the rates of return from 1989 through 2008, but now pulling out $30000 a year adjusted for inflation, at the end of that 20-year time period we have $1.8 million still left in the portfolio. Okay? Sounds like a good thing. I’m pulling money out and I’ve almost tripled my money during that period of time. But now let’s do the exact same thing when we did when we were accumulating. Let’s flip the order in which those interest rates, the returns on the market come to us. Starting with $613,000, but now let’s make 2008 our first year and 1989 our last year. When we do that, taking out $30,000 a year adjusted for inflation, we go broke in year 18. I need to let that set in. It does not sound like a big deal while we are growing our assets, but when we start pulling our money in retirement, we need to be conscious of what we call sequence of returns risk. In your example it’s the 30 you’re pulling out. So, as I’m consuming the information, I’m saying to myself if that’s me, in that scenario, I’m pulling out $30,000 a year out of my pocket and I’m going to be dry in 18 years. The bucket’s going to be empty. Under the form, under the example. Under the example, I’d say that. Right now, my batteries are breaking in my crystal ball, meaning we have no idea what the market’s going to do over the next one, two, five, ten, twenty years. We have an idea where things are going to go, but we have no idea what things are going to look like and it’s always a crap shoot. We try to mitigate that risk talking about sequence of returns risk. It’s appropriate asset allocation because when the market goes down, it is only a loss if you sell it. It is only a loss if you sell it. However, if we’re sitting all in the stock market and I’m pulling money out every single month, every single year, if you will. You’re selling it as the market’s going down. It doesn’t come back as fast, if at all. In the example I shared where you could potentially run out of money. That’s where we talk about when we have people that are sometimes facing that risk when they come in where they’re so overly aggressive out there in the portfolio and again, that’s part of that Thrive Retirement Roadmap review is we stress test things. We say what happens if we see a correction every decade which is typically what we see from a historical standpoint. 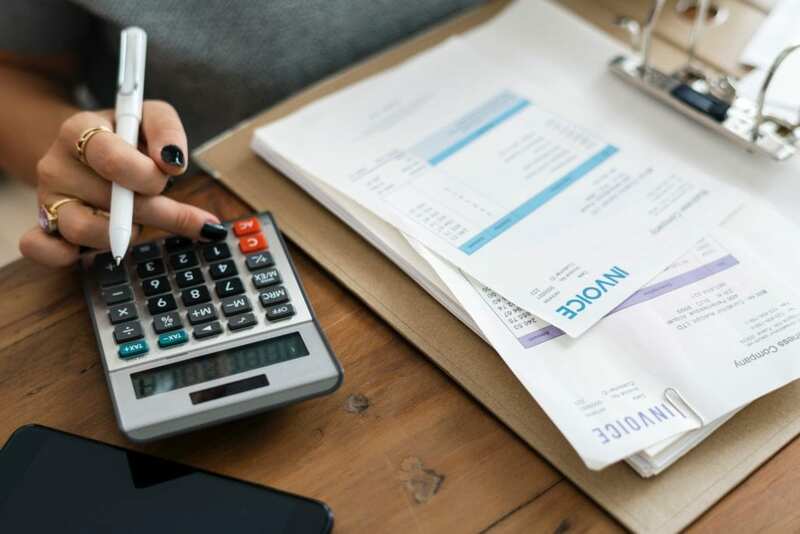 You should take similar care of your financial well-being with an annual checkup of essentials, such as your credit situation, retirement savings and life insurance. 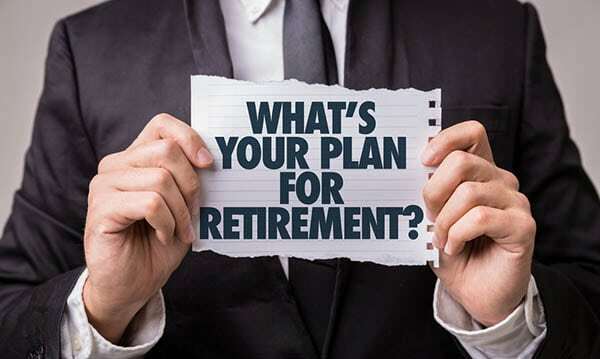 Reference what is included in that Roadmap to Retirement because there are multiple reports that are complimentary but they provide the details to understand what you’re talking about. We go through four different software’s and they all work hand in hand. They all complement each other. As part of that Thrive Retirement Roadmap talking about that Money Tree Silver, what we spoke about is where we start going through some of that stress analysis, or what I’m speaking about here, that sequence of returns risk. What happens if? What happens if that? Risk is for people who don’t have what you have, our job is just to simply make sure you do not lose. You don’t lose, you win at the end of the day. Again, David chats about it all the time at our workshops is that in the three decades that he’s been in the business he’s seen three 40% corrections. Again, that’s what our job is from an education advocacy standpoint. Making you aware, because if you’re educated, it helps you make better decisions when it comes to putting all these puzzle pieces together. It’s okay to be self-aware under the umbrella of this conversation and admit you just don’t know what it means and get yourself educated. That is the power of what the workshop and what these reports will do, I guarantee that. When you come in and get that report, the significance of that will far exceed any expectation you ever had. It gives you, again, people never plan to fail. They fail to plan. Just putting all those puzzle pieces together realizing you have an opportunity to be bullet proof in retirement and going through each and every one of those risks that we may face. How can we take each and every one of those away or as many as possible away so that we can enjoy life? You got have be healthy to be wealthy. I see so many people that get anxiety in retirement because all they do is watch the stock market every day. We don’t need that risk. Again, it’s trying to get rid of greed out of the vocabulary so we can have peace of mind and enjoy life in retirement. On your part, more of that information and conversation is always available for the Thrive Army and our followers. David what do you want to talk about? Our phones, not our clients. Our clients are as calm as can be because the way we’ve set them up is to be as defensive as possible during these really challenging times, our clients don’t worry about their portfolios. We believe in the stock market, we just believe being actively managed in the stock market. A lot of people that we talked to are coming from the workshops, are coming from the radio show, and they are the ones that we’re seeing with the highest degree of anxiety. People that visited with us or talked to us a year ago, everything’s fine, the world is great, kumbaya. Now the phone is ringing off the hook that they have to come back in. What separates Thrive from most financial service companies out there that are in the investment planning world is that we don’t just do the investment planning, we try to look at all those parts of retirement to make sure that they fit together properly. Joe, I can’t tell you how many studies have been done, and Bret referenced it. Those first couple of years in retirement where you’re starting to use those retirement assets, if the returns that you’re getting are not favorable during those periods, those first three, four, five years, it really can have a very, very devastating effect on the longevity of keeping those assets lifetime. Okay? That’s why we want to stress this a little bit. I want to share a couple of things because it’s not only being aware, it’s really being proactive at this particular point. Making sure that you’re aware of what’s going on but at the same time taking appropriate actions to help yourself in the process. This was a very common publication in our industry, I’m not going to mention the name. But, this goes back to June of 2018, okay? It’s a collage of a couple of different articles within the magazine and one of them, on the right hand side or sorry, left hand side, that’s Christine Lagarde. All right, she’s the managing director for the international monetary fund. She was saying in this particular piece back in June that because the world has increased its debt to over a $164 trillion dollars, her comment was 2008 through 2009 is not really behind us. As a matter of fact, what she’s predicting because of that global was that there would be a pullback in the market somewhere between the last quarter and the first quarter. For our clients, and not because of this particular article but because of our due diligence, our research, the things that we were doing, we reallocated clients back in September and that’s why our clients are not crying poor right now. They’re not worried. They’re feeling very good because we made some really significant changes to the allocations of our clients’ portfolios at that particular time. This week, Apple comes out. Apple says, “Our future earnings are not going to be what they’ve been in the past because consumer spending is now down, not only in China but also down in the US.” The $1000 iPhone 10X isn’t translating to the consumer anymore like it did in the past because people are still worried. Especially the biggest segment of the population, baby boomers, who are not spending because 2/3 of us think there’s going to be an economic downturn. At the beginning of this week, everybody and their mother was saying the economy is dramatically slowing, the economy is dramatically slowing, the Fed should not increase interest rates. Do you know what they were saying yesterday? The economy’s growing unbelievably because the jobless claims are down and people getting new jobs is up. How does the person listening to this show go, “Well what makes sense? What makes sense?” That’s what we try to do. Here’s what we have today, Joe. We have tons and tons and tons of data. What’s missing is the wisdom of what to do with that data. I think what we pride ourselves on here at Thrive is shuffling through all that noise, taking our 30 years, 20 years of experience, bringing it down to layman’s terms so the consumer can understand it. Once they can understand it, we have a really good conversation. That then brings them from opinion to I have now made it a great educated guess on this, or an educated conclusion on this. Does that make sense? See, I think before or even to this moment in time, there’s that confusion about understanding the details. When you don’t understand the details, you make errors in your speculation. The biggest error is actually procrastination because when people get overwhelmed with information, or confused by information, they tend not to take any action. We have so many people that come in and say, “I feel really good about my portfolio.” My response is, “Based upon what?” They go, “I’m not sure.” I say, “Well, let’s talk through it.” Let’s talk about what if your portfolio, the old thing we used to say back in ’08, ’09 was when your 401k became a 201k, how’d you feel about it? Well, it didn’t feel good. But it was less impactful because you weren’t using your money because you weren’t retired yet. Just like Bret said, you were working, you were contributing, you were staying the course and you had time on your side. But when you’re in retirement and you have to supplement social security, maybe you have to supplement a pension and you need to start pulling those assets, if those market returns are not working favorably for you, it’s going to have a very erosive impact. The quick and dirty of it is you can avoid all that. That’s all we’re trying to say to people listening to our show, visiting our workshops, and our clientele. If you don’t have to through the turmoil and you can position your assets correctly so that your principle isn’t eroded over time, would you want to enjoy the benefit of doing that? The response obviously is, “Of course.” That’s what we want to talk to people, people listening to us on the show today, they should give us a call at 800-516-5861. They should come out to a workshop. They can come in for the consultation, it’s complementary. That’s a big deal. I can’t tell you, Joe, how many people say, “Man, I can’t believe this is complementary.” The reports that we provide on that second appointment, which is also complementary, are really spectacular but they’re still in the 30,000-foot view. To the person receiving them, it’s the most detailed they’ve ever seen of their plan. When they become our client, when they choose to ask us, “Well, how do I become your client?” They’ll never get pressure from us. When they see the final draft of what we do, they’re completely blown away. That’s what, for us, is a good situation because now we have a very long-lasting relationship with these types of people. People who have experienced our process, just constantly remark about that. The one thing that we stay true and authentic to, I promise with everything in me, zero pressure. Come in and visit with us, come to a workshop, get the information. You make your own evaluation after that. Social Security Benefits: Social security is retirement planning. Well done, well said, good stuff from Bret Elam and David Bezar today. Karen, as you can gather from my consumption of the information that Bret and David provided today, it’s a lot, but it’s all valuable information to learn from. Right, and after listening to Bret and David anybody out there listening that was partially confused, please take a look at our website ThriveFinancialServices.com, our number’s on there, 800-516-5861. Give us a call, come in. Like David said, it’s all complimentary, the first time, the second time. No, I can tell you, and I’m sure members of the Thrive Army can certainly support and endorse, it’s incredible to me how much information that you can provide based on the details. So, it is important to have the details. We sit there and we don’t know what the details mean. We’re the author of the details, we just don’t know what they mean. Exactly, and when you come in, you meet with us the first time where you just share some information with us. We don’t need any social security numbers or any of that information. The second time that you come in, it’s educational as far as we make it understandable. That’s what’s important. We don’t want to overwhelm anybody. That’s really important. Let me get to your segment, I didn’t mean to wander away from the process. No problem. Before I get started with my segment, I just want to say go birds. We have some Thrive representation going to Chicago, a couple of people asked off for Monday, they are actually going to Chicago. We are there to represent our team. We are excited. Well, there’s a good vibe in the city and throughout the Delaware Valley, and on this radio station when the birds are winning so I share your sentiment that we want to get out of Chicago with a win on Sunday. Real quickly, Joe, prior to the year I had started with 15 tips to get ready for the great 2019 for your retirement. I’m going to go over the five that I reviewed, probably won’t get to the 15 today. But we’ll get through them. Number one, again, was don’t guess, figure out exactly what you need for retirement. What do I need on a monthly basis? I met with somebody the other day, I needed that number and he said, “I never really thought about it before, but I guess I should.” When we started going through his expenses and he forgot about property tax, things like that, his wife was giving him the evil eye. It’s a really good point, we don’t remember all of what’s going to come up. That’s how detailed it is. We get down to the ridiculous aspects because you want to be safe instead of sorry. Number two was think you already know what you need? Check again. Things change. From 2018, the end, to this year how has the market changed? It’s crazy out there. Point number three was if you’re over 70 and a half, make sure you take those required minimum distributions. Number four was if you’re still working, max out your retirement savings. Number five was start boosting your monthly savings rate. We’re on to number six, diversify or rebalance your investments. David pretty much did a good job about that, but this article which I did not prepare, actually came out in ’18 and it says, “Lots has changed this year and the financial markets have seen record highs this year even if they are unpredictable at this year’s end.” Now we’re into January and talk about unpredictable. You definitely need to rebalance your investments. If you’re self-directed, take a look at everything. I thought it was a really good point too, that David had made that the adjustments or the redirection in some of the conversation with your clients was happening back in September about January. Now I’m going to go on to number seven and go into a more details of that, but number seven is assess if you need a financial advisor. Again, I didn’t write this. This is just as a general article out there. Number one, you get confidence and peace of mind about your retirement finances. Reduce tax liability and maximize wealth. Construct and maintain the optimal asset allocation strategy, which we talked about. Help with making rational decisions, not emotional decisions. This is so important right now. Keep your finances up to date and make sure you don’t miss opportunities due to indecision or procrastination, like David touched on earlier. People really do sometimes get frozen with indecision and fear of making a decision that they do nothing and I just it makes me sick to my stomach. If you’re in retirement or approaching, you really need to take a look at everything. It’s a big concern, not for our clients because we have them taken care of, but there’s people that we met with that are coming in now and I feel bad because things have changed from two months ago to now as far as their amount of money, and assets allocated for retirement. I really do think that there is no way, or at least I’m making an obvious statement but there is no way for us to truly understand what’s going to come up tomorrow that we didn’t expect. Here’s a scary statistic, according to bankrate.com only 39% of people can cover a $1,000 setback using their savings. Where does the money come from when an unexpected happens? More than likely, it comes from retirement fund, or, unfortunately, people use credit cards and then they get themselves into that tailspin of debt and interest rates working against them. Number nine is consider a Roth conversion. Anybody out there right now, if you were going to do a Roth conversion, it had to be done before the end of 2018. If you wanted an account for that year, but it’s something to think about moving forward, that’s a question a lot of people have when they come from a workshop. Roth’s are great investments, you don’t have to pay any taxes on your gains. It’s a way to reduce your taxation once you’re retired. Number 10 is reviewing your healthcare coverage. Now, I’m not a Medicare agent but I think that portion of Medicare is closed. But there are still people out there that are going to be going on Medicare soon. Believe it or not we actually have somebody here who helps with Medicare, helps you choose, and he happens to be my father-in-law. He’s in his 70s. Who doesn’t know a lot about healthcare? He guides people with that, he knows a lot of information about that. You may get a joke or two along the way. When I had my knees replaced, he was the one bright spot whenever I came to the office whether it was a Monday or a Thursday where a small subtle brought a smile to my face. Even though I was crunching through the pain. Exactly. He’s here to help you, and like Joe said, you might get a joke or two, but he is very serious when it comes to Medicare and he understands the ins and outs. He’s on Medicare so he understands. It’s confusing. It can be. No doubt. There are so many moving parts. I will go on to number 11 which is to review your expenses. Start planning. You’re in 2019, if you haven’t done it, go ahead and do it. Start making your goals for 2019. It’s never too late, please give us a call, 800-516-5861 we would love to see you, again, complimentary first and second time. That will just about finish things up for today, we covered a lot of valuable material that I believe our audience will find useful going forward. Thank you to David, Karen, and Bret for providing useful information going forward in 2019 that many people should take into consideration. Thanks to everyone for checking in with us here at Thrive Financial Services. We hope you were educated and got something out of our weekly discussion today. If you have any questions and would like to come in for a complimentary Consultation, we are always open for business. If you choose to do so, we look forward to meeting with you and seeing what kind of services we can provide!